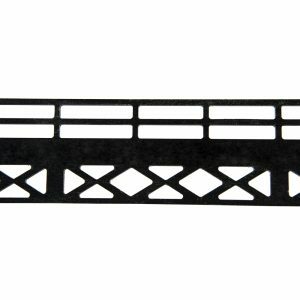 O scale 4 1/4″ wide by 7 1/4″ tall trestle cut from 1/2″ thick PVC. 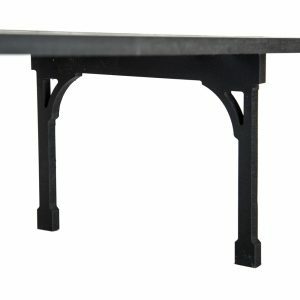 Easily assembled with PVC Plumbing cement, this CNC PVC trestle comes with easy to follow instructions. Please see information below regarding trestles & railings to determine how many you will need to complete your custom elevated track system. How many trestles do I need to support the roadbed? Vertical braces are placed on both the R31 & R41 at 10″ increments – approximately a scale 40 feet distance – which gives the “EL” a very realistic appearance, with the maximum spacing being about 20″. 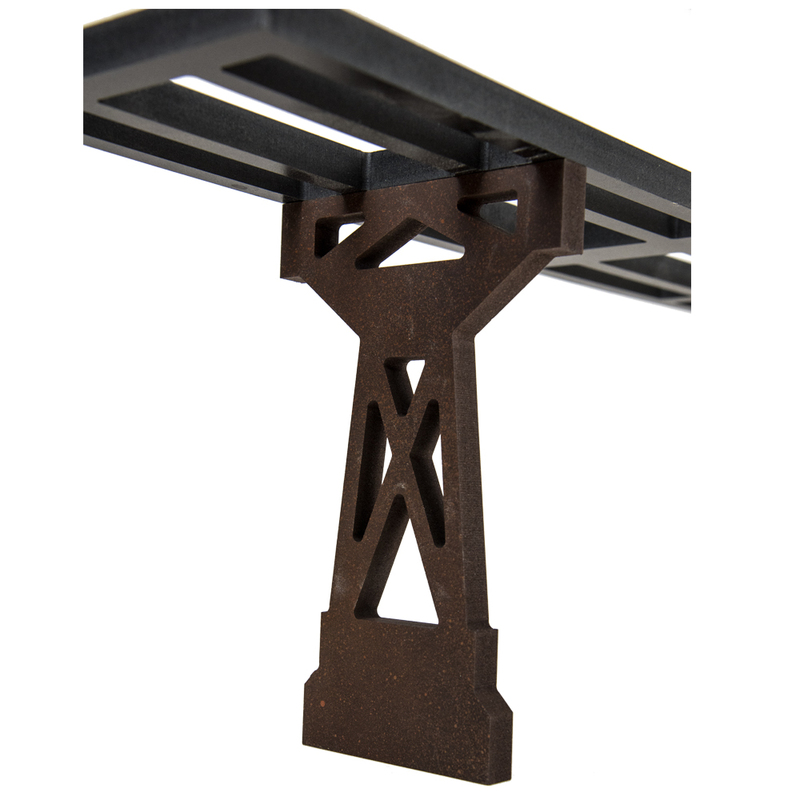 It is not necessary to place Trestles at the TrussRail © vertical braces, as the cross bracing has plenty of surface to pre-drill and attach screws between TrussRail © , roadbed and Trestles. 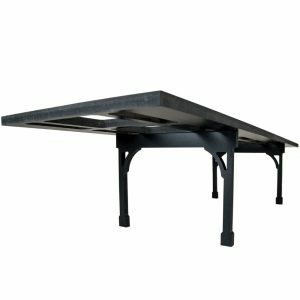 Do I need to secure the trestles to my layout table? 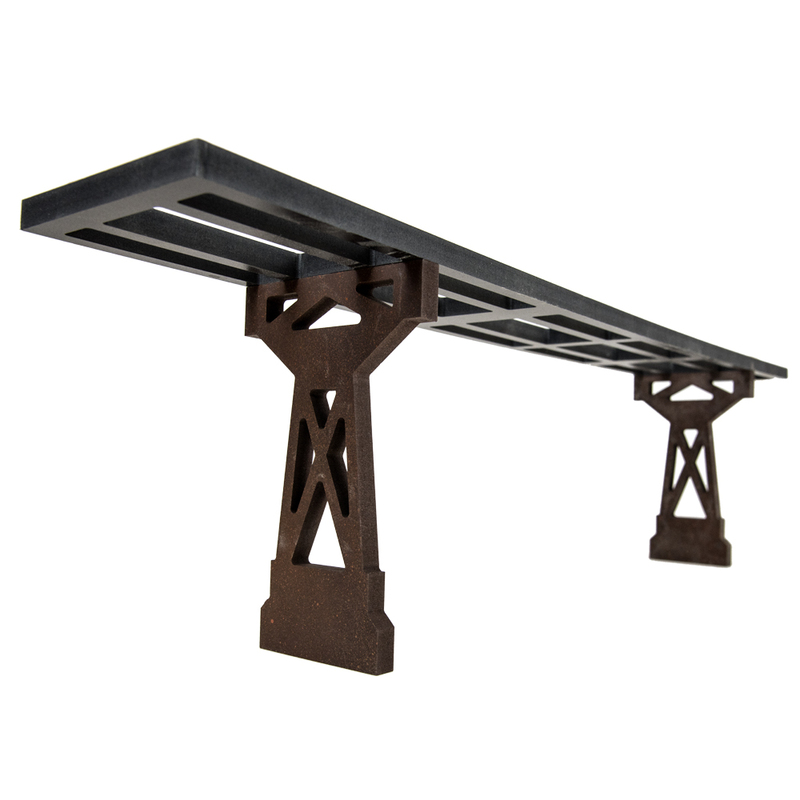 Once assembled, the “EL” is a solid structure that can support train traffic without attaching it to your table. 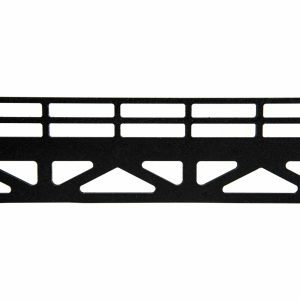 However, adding a single screw to a few of your trestle bases from beneath your table will prevent any accidental drift of the structure as you move other scenery pieces or place rolling stock on and off the track. 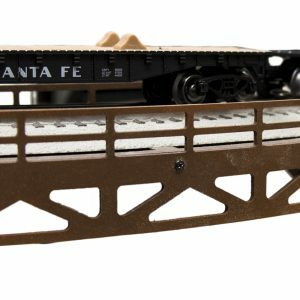 Can I glue the trestle pieces together? The PVC Trestles and TrussRails© can be cemented together using any commercially available PVC Plumbing cement. We recommend attaching the PVC parts to the wood roadbed with Cyanoacrylate Adhesive available at your local hobby store as an alternative to screwing these elements together.